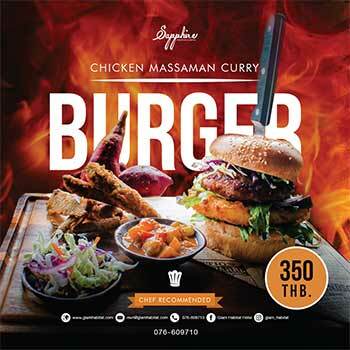 A bistro located in the heart of Phuket that features a wide range of menu items, all local style. Kopi de Phuket has created vegan menus that will make your dining experience special. rich and tasteful Steamed Rice Topped with Stir Fried Shiitake. Spicy Larb with 3 Types of Mushroom. Noodles in Shiitake Soup with Vegan Duck Meat. Stir Fried Chinese Kale with Vegan Crispy Pork. The savour of their vegan menus is truly unforgettable! ← Barn Café By Vanich Farm !! !